A Deep Energy Retrofit, or DER, is the renovation of an existing home that results in a profound reduction in energy consumption. Typical renovations do not address the serious challenges highlighted by our changing climate, our decreasing resource base, and the unstable (but inevitably rising) costs of fuel for our homes. C&H, with its broad experience in energy-conscious design, has renewed its commitment to the renovation of existing homes because we believe that, in many cases, the most efficient way to move toward a renewable energy future is to fix the buildings we already have. For your renovation project, you can expect a rigorous process of design, construction administration, and post-occupancy review. A Deep Energy Retrofit is not a blank slate or an unlimited budget, it is a process of analysis and thoughtful tailoring that requires a certain degree of vision from our clients as well as our design team. One thing that sets a DER apart from the traditional renovation pack is that it is founded in real numbers. You may live a house that uses 120 million BTU per year, and have your end goal be a home that uses only 20 million BTU per year. We strive for large scale reductions in home energy usage. Along the way, an awkward floor plan gets fixed, more daylight gets introduced, and maybe a guest room or a mudroom gets added. At the same time, you’ve added a hundred years to the life of your house. 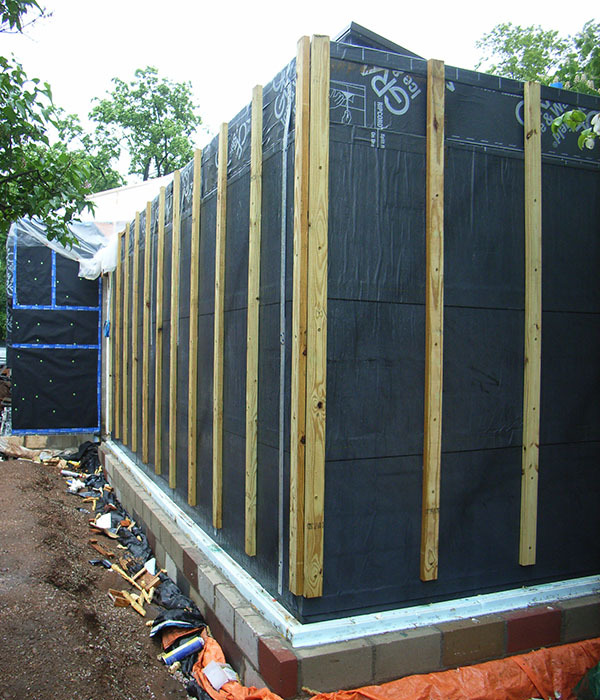 A deep energy retrofit is a sound investment. We keep a critical eye on the short and long term economic payback of design choices. In unstable times, energy security is at the front of our minds. And while the dollar drives many decisions, we are careful to include the values of investment in health, comfort, and the environment into the equation. Energy costs and comfort at home effect everyone, and so we believe Deep Energy Retrofits should be available to everyone. We are currently targeting renovation projects in Massachusetts with construction budgets between $100k and $400K. We have structured our office to take on a more diverse range of clients in order to affect as many homes as possible. Project Managers work with the support of an office of professionals with over 60 years of combined experience in green building and design, achieving deep energy and design goals within client budget. To prepare the existing houses of the Northeast for a changing energy climate. We are not afraid to address the realities of our energy crises or the economy. In fact, we see a great opportunity for human beings to take stock, prioritize, and even make changes to improve our world. Our specialty is applying these big picture goals to the complex situation of a real home. 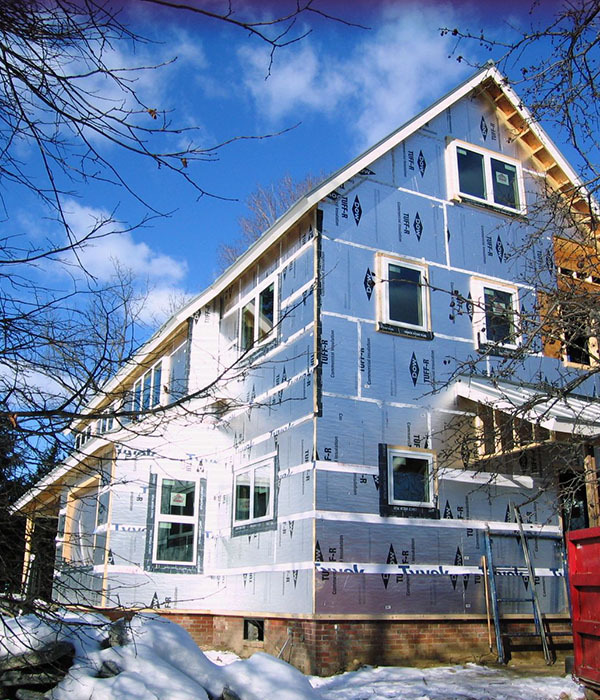 This is not just about insulation or windows. It is about hopes, dreams, and expectations mixed with budgets, phases, and coordinated steps toward a concrete achievement. Analysis, research, & collaboration. This is where the design of the living room meets the soggy basement and peeling paint. We consider homes holistically, informed by the most recent information in building science, and work with the smartest folks in the business to design the best solutions available. We listen carefully to understand your needs and goals and create practical design solutions, working closely with builders to understand feasibility, cost, and schedule. Our process does not end with a set of plans. Setting high standards for performance means working closely with the constructor and all trades throughout the construction process to ensure the integrity of your home’s design. As we strive to achieve a common goal of high performance housing, we value the inputs of builders and tradespeople. Everyone benefits from the shared knowledge and continual refinement of the best practices of retrofit.